When you’re planning to do a roofing project, you should be very particular with the proposals and estimates your prospective contractors give you. While estimates do differ from one roofer to another, there are some universal details that should always be included. 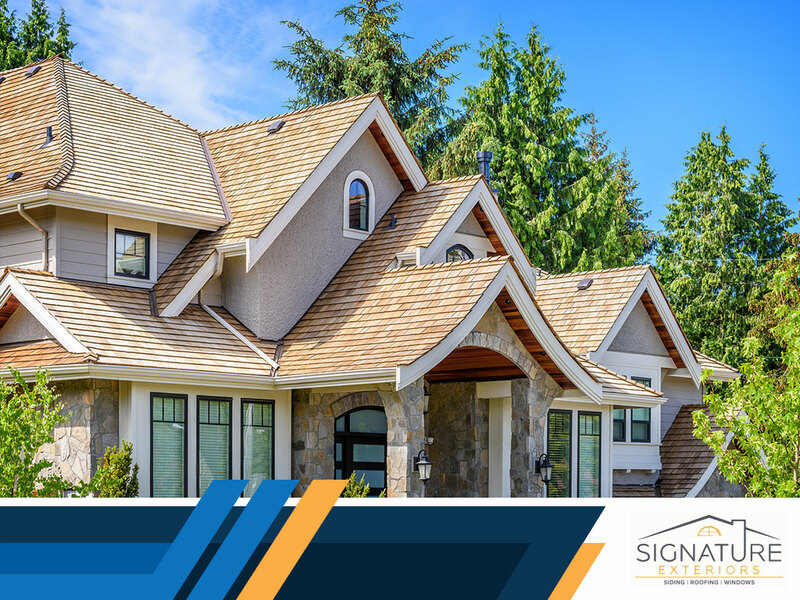 Our roofing experts at Signature Exteriors discuss the important details that should be in your roofing estimate. Your roofing estimate must have the contractor’s bid spelled out; specifically, who will be responsible for what, the date of the work, as well as the payment details and terms. Pay attention to the tinier details that you can easily miss. These include cost of labor, materials and permits – all must-know details for any roofing project. Your bid must also state what kind of materials your contractor will be using. You may be satisfied with what type of shingles they’ll be using, but it should also include more technical information. These include details on the kind of underlayment, ventilation and insulation and flashings, to name a few. These all play a critical role in the long-term serviceability of your roof and give you an idea what your roofers are putting on your roof. This protects you from liability in the event the roofer fails to pay the subcontractors or their suppliers. Without it, you may end up paying for the costs on their behalf. You want to see this on your roofing estimate. Finally, your bid should also have a termination clause which basically spells out reasons you or the contractor can end your agreement with one another. The termination clause also gives a quick overview of the contract terms that should not be violated. These are very important details that will serve as guidelines for you and the contractor you’re working with for the success of your project. When you work with Signature Exteriors, all these important details are all on our roofing bid. Call us today at (866) 244-8029 to learn more about our services. We offer complete roofing services throughout Westchester and White Plains, NY and Connecticut.